Recently, our Office of Civic Engagement hosted a Political Involvement Fair. It’s purpose was to provide students with the opportunity to meet representatives from various presidential and state campaigns. Student Madelyn Lunnen attended, and these were her thoughts. She says: “When I first went there, I didn’t know what to expect. Would it be a chance to get information about candidates, or internships, or debates? What I got was a voting registration table and fifteen booths from fifteen different candidates running for a wide range of offices, including senatorial, congressional, presidential, etc. While the information she gleaned from the event might not have helped her decide who to vote for, it supplied her with an opportunity to get informed through one-on-one, face-to-face discussions with the candidate’s representatives. All students, regardless of their political affiliation or impressions of the candidates, have the opportunity to realize the power of their vote, as well as its benefit and ease. Truly, #AllVotesMatter. 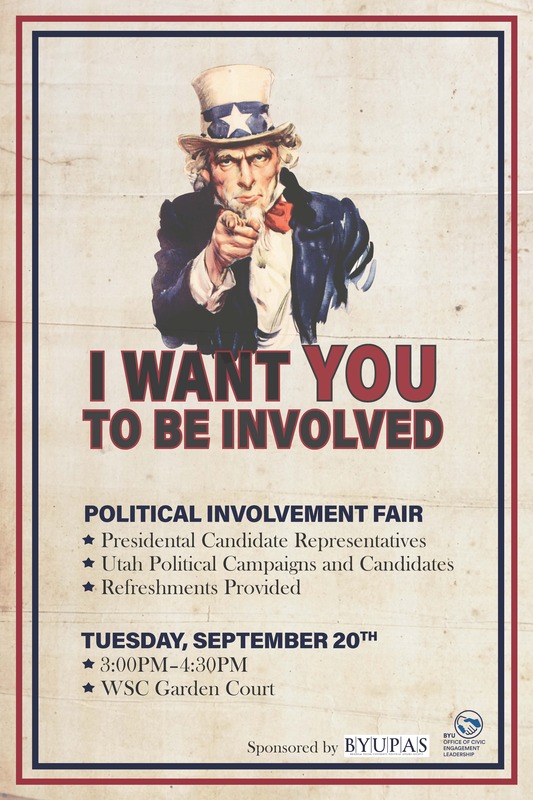 Did You Go to the Political Involvement Fair?